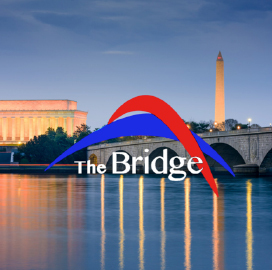 On October 29th at 11 am on WJLA; and 6PM on News Channel 8 Jim McCarthy the host of The Bridge was joined by Dan Mindus, Managing Partner, NextGen Venture Partners and Seth Demsey, Co-Founder, 300 Qubits – for a discussion about the advance of technology, and the hopes and concerns accompanying it. Seth Demsey: A good counter question would be what does control mean? I think its a combination of visibility and making sure nothing horrible is going to happen. I do think that when you look at the governance of the internet as a whole, we’ve done a fantastic job of making sure things are working the way they’re supposed to and we have standards that are generally compatible. We all chose the internet together as a winner and we’re on the same set of standards. And the process of working together has expanded the net impact of the development of these technologies in the past decades. Dan Mindus: I think autonomous vehicles, while still early and we don’t know how it will play out, seems to be going in the right direction. The government seems to be encouraging, and looking at regulatory responses and imposing safety regulations but letting it go forward at the pace it can. Jim McCarthy: What challenges does the fact that we are in an open society, play in terms of governing, controlling and managing the growth and type of technologies? Dan Mindus: I’ll start with an example, a couple of years ago a couple of scientists were able to design a disease that was airborne, could infect people at an incredible rate and was deeply deadly. They were members of the academic community who had no interest in releasing this, but they wanted to demonstrate what genetic engineering could do and the damage it could cause. There was a big ethical debate about whether they should publish their results. If they did, people could replicate it who wanted to cause harm, but others could learn from it as well. [in our open society system] You do risk some bad things getting out, but you’re able to play offense in a stronger way to protect society and capture the benefits of these technologies. Seth Demsey: It’s not dissimilar to how it works in computer security. When a researcher finds a new exploit there’s a process. We want it published, but we don’t want it published before the vendors and users of the technology have a chance to assess and patch the vulnerability. Rather than it being a publishing exercise, it’s also a process where people notify on timelines and take responsibility for disclosing information. 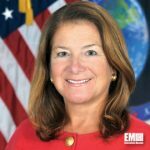 Jim McCarthy: Is it safe to say that probably women are underrepresented within the workforce of the intelligence community and why do you think that is? Tish Long: Honestly Jim I think part of it was the lack of role models. When you look at an organization you want to see people like you at the top. You want to know you can be like them. And in 2010 I was the first woman to run a major intelligence agency… the measure of success is how many women come after me, and I’m pleased to say there is another woman running one right now. Jim McCarthy: Let’s talk about your role with INSA, it’s a highly visible influential role, what objectives do you have as chairperson? 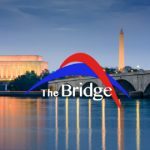 Tish Long: INSA is a non-profit and trade association, and the purpose is actually very similar to your tv show The Bridge. It’s to bring the private sector, industry, and the public sector, government as well as academia, together to work on our national security issues. We have a council focused on acquisition management, on security policy and how we can streamline the clearance process, on technology and innovation, and one on cybersecurity and insider threats. So working on those intractable problems, and giving the government and industry a forum to work and act together. We also have an intelligence champions council, so we do a lot of mentoring events, and this year we are going to do an event focused on women. A women’s symposium so we can do some work on skill sets, how to interview better, overcoming bias and things such as that.